Rodney Agatupu Anoa’i was a professional wrestler, best known by his ring name of Yokozuna. Born on October 2, 1966, Yoko was one of the most recognized figures in the early 90s era of the WWF. He was only 34 years old when he passed. Yoko’s extremely large size helped catapult him to the top of the card. He weighed in at over five hundred pounds. He was a two time World Wrestling Federation champion. He was a winner of the 1993 Royal Rumble. Yokozuna was the first wrestler of Samoan descent to become a WWF champion and to hold a Royal Rumble victory. Despite success with the WWF, one couldn’t help but think that the Yokozuna death was always looming. There’s simply no way any human being can remain in good health while being several hundred pounds over weight. Sadly, the large size that made him a star in the ring, would ultimately contribute to his early death. Lets take a look from the beginning. Although it wasn’t televised, Rodney made his debut with the World Wrestling Federation on September 1st, 1992. His ring name for the appearance was Kokina. 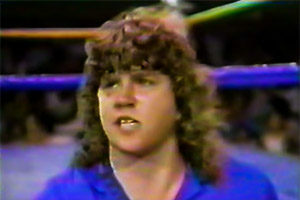 Kokina was set up to appear with Fatu and Samoan Savage, known as the Samoans (soon after, The Headshrinkers). 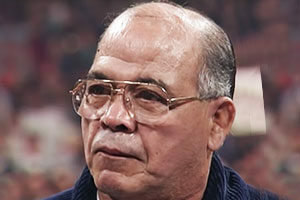 The character of Kokina appeared in a single (untelevised) match on September 1, 1992, hence the gimmick was quickly scrapped. 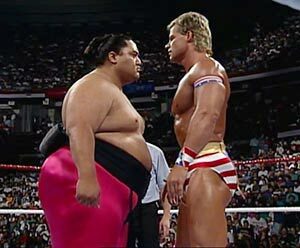 A few short weeks later, Kokina was ancient history and Anoa’i was rebranded as a Japanese sumo wrestler named Yokozuna. He made his television debut (alongside manager Mr. Fuji) on the October 31, 1992 episode of WWF Superstars. Yokozuna stayed busy throughout 1993 in the WWF. 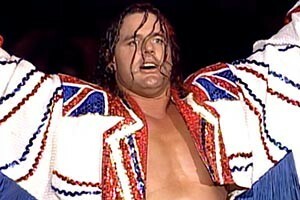 He quickly moved up the card to main event status after winning the ’93 Royal Rumble. 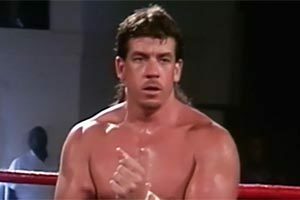 At WrestleMania IX at Caesar’s Palace, he main evented with Bret Hart and won the WWF Championship; holding the record (at that time) for the second shortest time from WWF debut to WWF heavyweight champion – a mere 4 months. He probably also held the record for shortest time with the belt, as Yoko quickly (and bafflingly) lost the belt thanks to an impromptu Hulk Hogan appearance at the end of the main event – it remains one of WrestleMania’s more dumbfounded moments. Because Hogan left the WWF shortly after losing the belt, Mr. Fuji and Yokozuna were able to boast of ending Hulkamania. It propelled Yoko to super-heel. 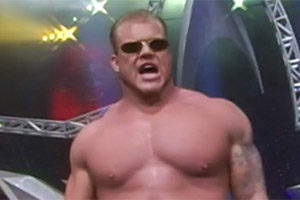 Yoko can be credited with giving Lex Luger his big baby face push of the 90s (who can forget the Lex Express?! Anyone? …Hello?) On July 4th, a bodyslam contest aboard the USS intrepid had multiple wrestlers, and other professional athletes, attempting to bodyslam the big man. Just when it seemed like no one would be successful, the former Narcissist arrives via helicopter to save the day. After getting a huge pop from the crowd with a slightly racist, generic pro-American spiel, Luger scoops Yokozuna for the bodyslam. Thus, the 90s had a cheap American hero versus anti-American angle. In 1994 Yoko defended his title at WrestleMania X against Luger. He won when Luger was disqualified for pushing the referee (so much for that Luger babyface push). 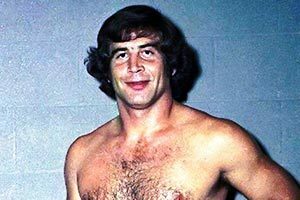 He would go on to lose the title to Bret Hart. After that loss in 1994, Yokozuna continued with the WWF but with far less success. In 1994 he lost a casket match to the Undertaker. 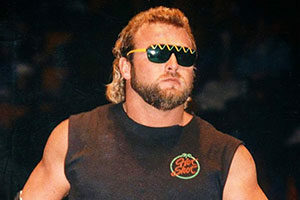 In 1995 he began competing in tag team matches with Owen Hart and attempted to soften his image. He feuded with Vader in 1996 and on the April 8th episode of Raw, Vader kayfabe broke Yokozuna’s leg. Who can forget when the big guy was carried from ringside via a forklift?! In real life, Anoa’i needed time off to lose weight. He had ballooned to more than 600 pounds, and it was becoming abundantly clear that his size was interfering with his ability in the ring. Yokozuna spent the next few years attempting to lose weight and stay with the WWF. He dropped a reported 100 pounds but still could not pass the required physical. He was dropped from the WWF in 1998. Vince McMahon expressed concern for Yokozuna’s condition. Reportedly, he was seeing a dietitian regularly to try and improve his eating habits, but he had a hard time giving up his unhealthy eating habits, which regularly included eating three dozen eggs, a pound of bacon and multiple stacks of pancakes in one sitting. 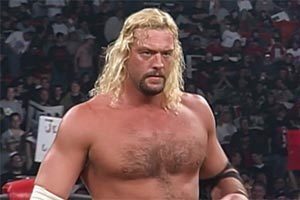 After being dropped by the WWF, Anoa’i attempted to keep his career going on the independent circuit. He worked in a few different independent promotions including the Heroes of Wrestling in 1999. His weight had skyrocketed to an estimated 760 pounds. Anoa’i expressed his ambition to put on even more weight and top out at 800 to 900 pounds. He hoped to become the heaviest person ever to professionally wrestle. Unfortunately, his size prevented him from wrestling at that point. The Yokozuna death occurred on October 23, 2000. He was staying at Moat House Hotel in Liverpool, England at the time where he was on an independent wrestling tour. The original reports that the Yokozuna death was due to heart failure were incorrect. He actually died from pulmonary edema. His weight at the time was 580 pounds. While it appears he may have lost some weight, tragically, it was not enough to save his life. He was survived by his two children and extended family. Wrestling fans and the entire wrestling community was saddened by the loss of Yokozuna. On November 29, 2001, World Xtreme Wrestling held the Yokozuna Memorial Show in Allentown, Pennsylvania in order to celebrate the former WWF World Heavyweight Champion. 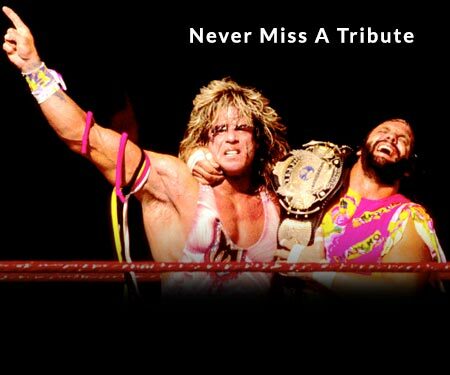 The WWE inducted him into the WWE Hall of Fame on March 31, 2012. Jimmy Uso and Jey Uso oversaw the induction ceremony, and Yokozuna’s family was represented at the event by his cousin, Rikishi. Although Yokozuna’s death may have been foreshadowed by his massive stature, he still remains one of the most recognized wrestlers of the early 90s. Yokozuna’s grave is located at Green Hills Memorial Park in Rancho Palos Verdes, CA. Have a favorite memory from Yoko’s career? Share in the comments section below.